If you want to break free from the traditional white ballgown-style dress on your wedding day, the quirky style of some top celebrities could provide you with some stylish inspiration. If you have chosen to get married in Thailand, you have a blank palette on which to plan your dream wedding day from scratch – and that goes for the dress as well. If a white, full ball gown seems like a dull option, why not follow in the footsteps of the increasing number of brides who are choosing shorter, coloured and ever more quirky styles? From Gwen Stefani’s shocking pink Galliano gown to Elizabeth Taylor’s canary yellow one, the celebrity world is full of inspiration to help you get inspired. Here are a few of our favourite unusual wedding dresses. Here are a few show-stoppers. Elizabeth Taylor is without doubt one of the greatest Hollywood style icons to have ever lived, so it seems only fitting to include her in a of well dressed brides. 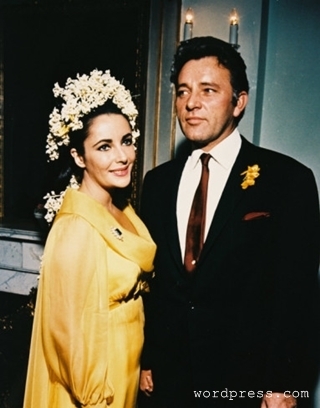 The first time Taylor wed two-time husband Richard Burton in 1964, Taylor went bold in a daring daffodil-yellow suit, paired with a striking floral headdress. While Taylor’s choice of colour or gown may not be for you, she shows that style and beauty can be anything the bride chooses – there is no need to stick to tradition. Originally, white wedding gowns were associated with the idea of the bride’s purity. However, the dress worn by No Doubt singer, Gwen Stefani, washed these Victorian notions away with a vivid magenta creation by John Galliano. Stefani married Bush frontman Gavin Rossdale in September 2002, and fans expecting a show of Stefani’s quirky style on the day were not let down by Galliano’s couture creation, which was recently on display at the Victoria & Albert Museum in London. Classy brides may wish to follow in the style footsteps of screen style icon, Audrey Hepburn. While Hepburn is perhaps better known for some of her more conventional fashion choices – after all, no one wore the little black dress better – the wedding attire in which she married Italian Doctor Andrea Dotti in 1969 smashed all conventional traditions. A mini-dress, pumps and structured headscarf paved the way for forward-thinking brides to flash a little leg in thigh-high styles for years to come. British actress Keira Knightley is always one to watch on the red carpet, and her wedding gown did not disappoint either. Knightley tied the knot with musician James Righton in 2013 in the South of France, wearing this adorable ballerina style gown by Rodarte. Not only was the actress daring in her choice to select a gown so different yet still so ‘fairy tale’, she was also economical. The blush pink frock has appeared on the red carpet at numerous other occasions attended by the actress. Every year, the revelation that is Vera Wang’s latest collection of wedding gowns has brides jumping up and down in excited anticipation. Vera Wang is a design house you can rely on to break the standard wedding dress mold, particularly in terms of colour, while still maintaining stunning bridal elegance. 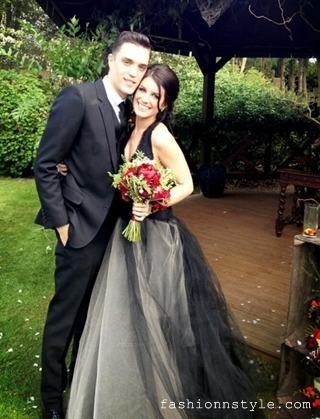 The black chiffon wedding gown worn by actress Shenae Grimes when she tied the knot with Josh Beech did not let the guests down. It is known as one of Vera Wang’s most stunning creations.